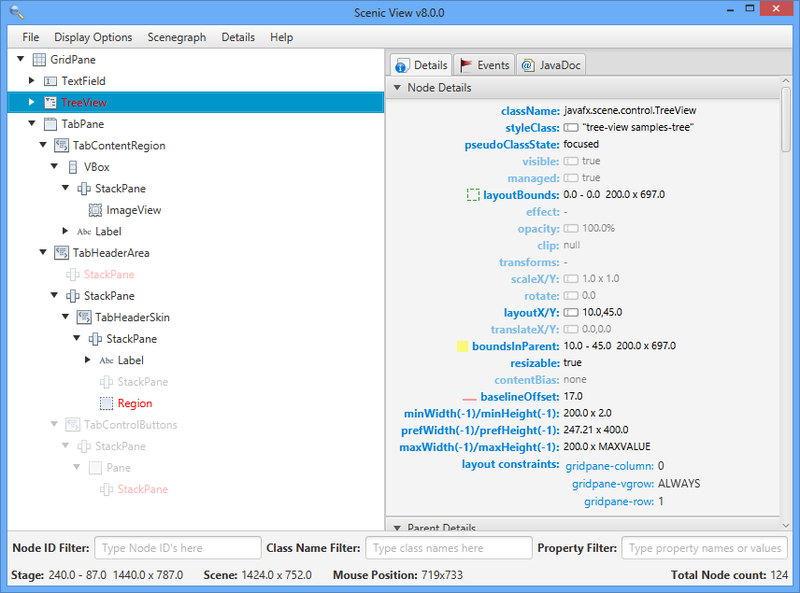 Under Developer Preview 5, launching ScenicView via specifying a javaagent appears to be broken. I’m curious why you prefer to use the java agent approach as opposed to the automatic runtime detection? My inclination is that the java agent approach requires more upfront configuration and no benefit – am I missing something, or should I just remove the java agent support? My use case is: I have setup a run configuration in my IDE that would launch an application and ScenicView at the same time. I don’t view it as an important feature and if you chose to remove it, then I will adjust. In case you decide to keep the feature, with dev preview 6 I received the following error launching ScenicView using -javaagent. I haven’t tried on Windows, but I have a hunch that this is a Linux specific problem. Thanks. I’ll email you directly so that we can resolve this. The basic issue is that Scenic View ships with code to find the attach library on Windows and Mac, but does not have the same code implemented for Linux. Hopefully you can help me write that code. objc: Class JavaLaunchHelper is implemented in both /Library/Java/JavaVirtualMachines/jdk1.8.0_11.jdk/Contents/Home/bin/java and /Library/Java/JavaVirtualMachines/jdk1.8.0_11.jdk/Contents/Home/jre/lib/libinstrument.dylib. One of the two will be used. Which one is undefined. When the SV jar was opened in an empty folder, it appeared, looking fine, showing it looking for FX projects. The log file has 660 lines, which I don’t understand.